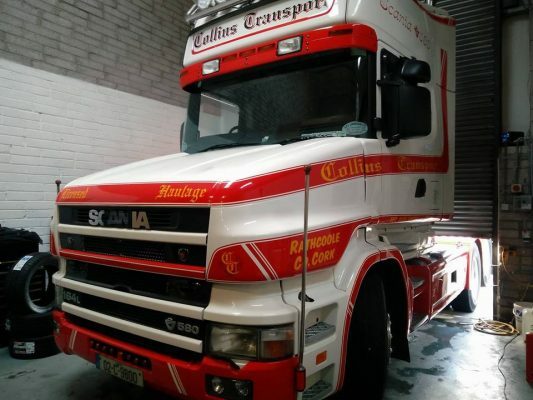 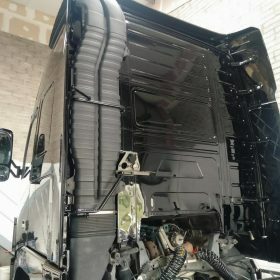 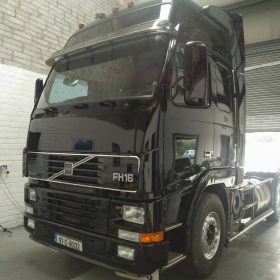 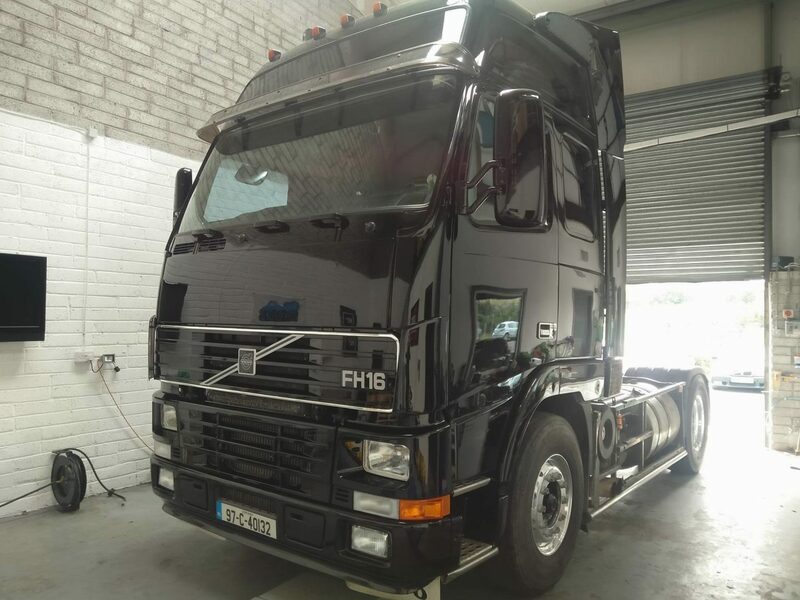 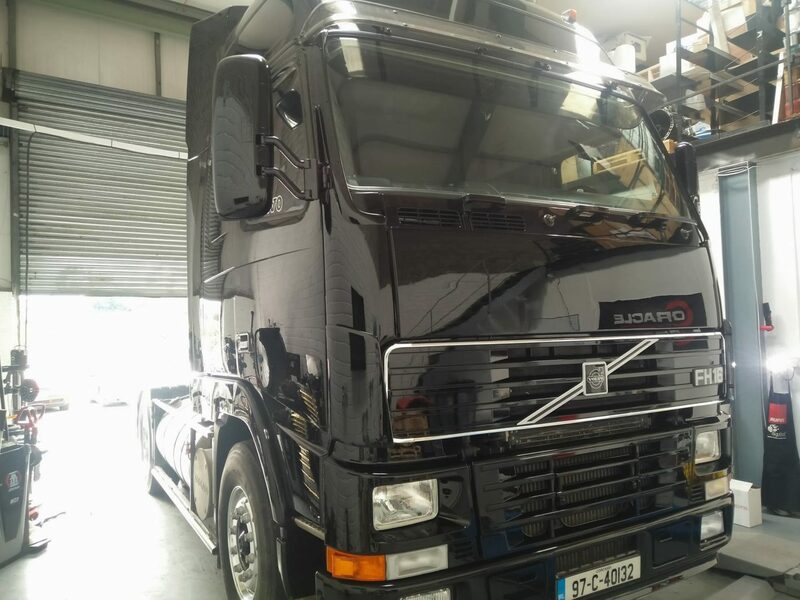 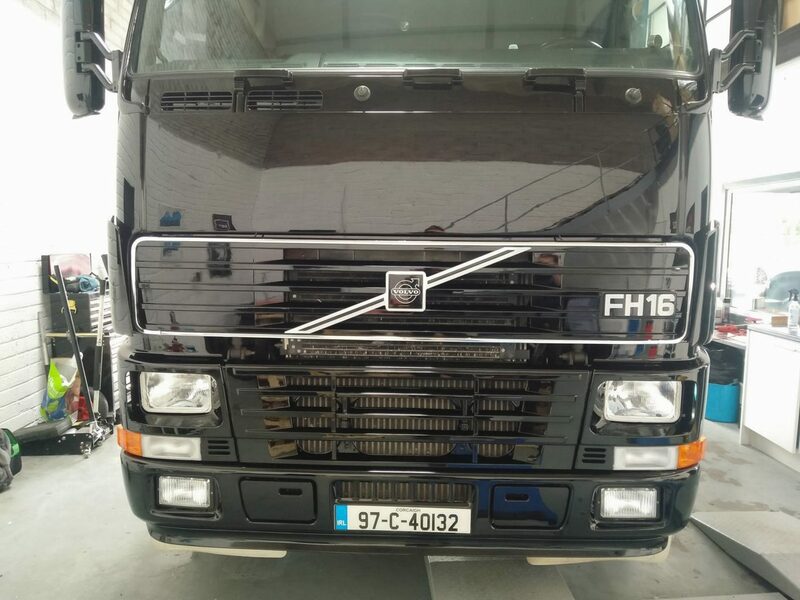 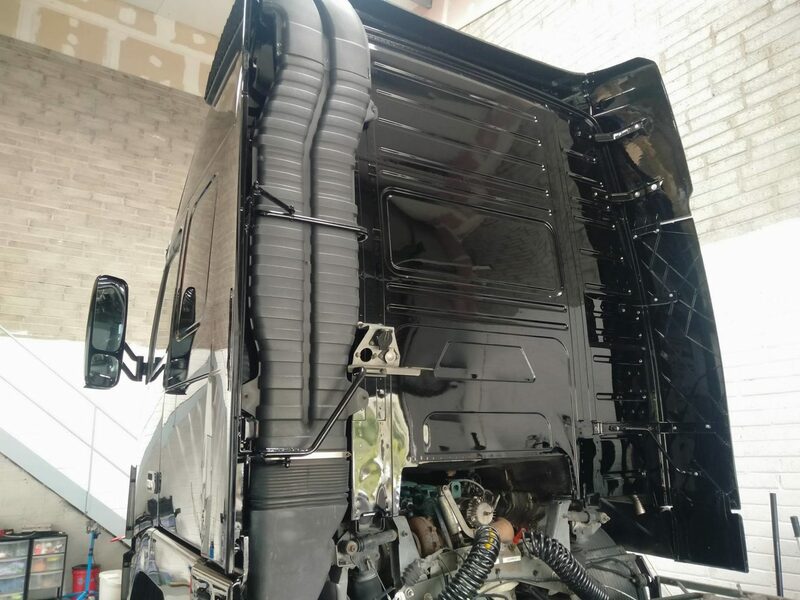 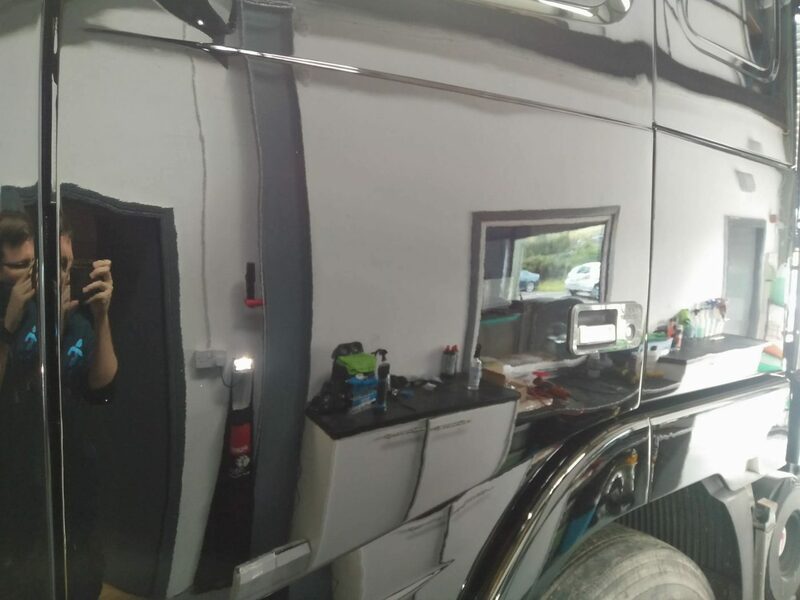 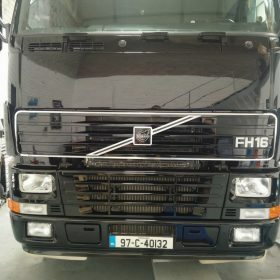 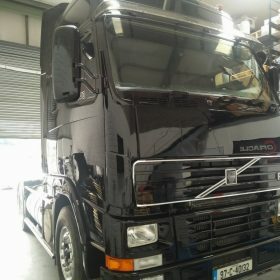 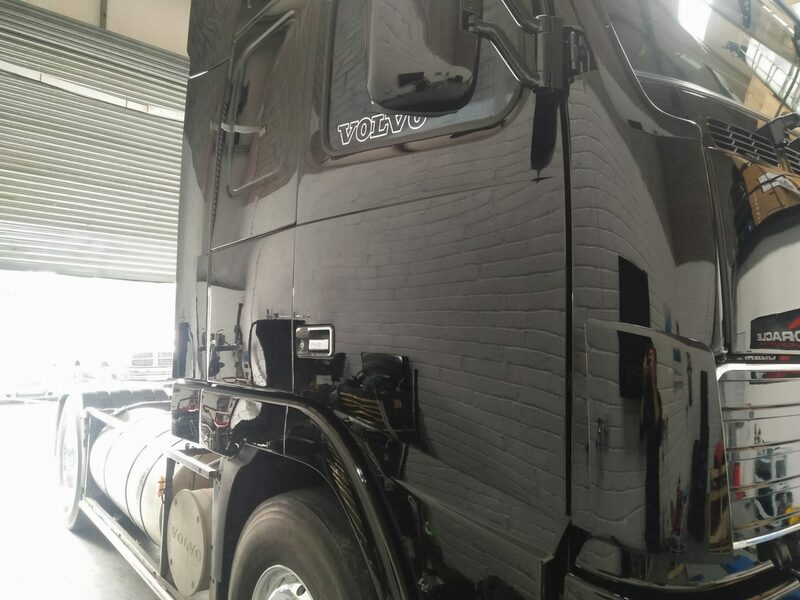 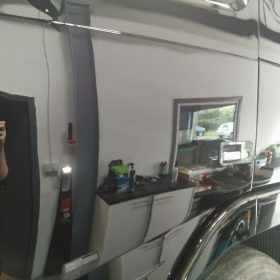 This extremely rare and recently imported Volvo FH16 all the way from Greece was in to reduce the Orange Peel on the recently resprayed body along with a chassis and interior deep clean. 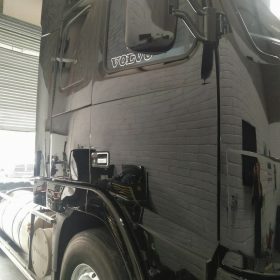 The orange peel was heavily reduced down with the use of Denim pads followed by a very heavy machine polishing to remove any defects left from the coarse Denim pad. 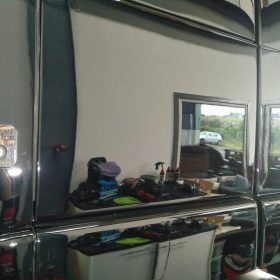 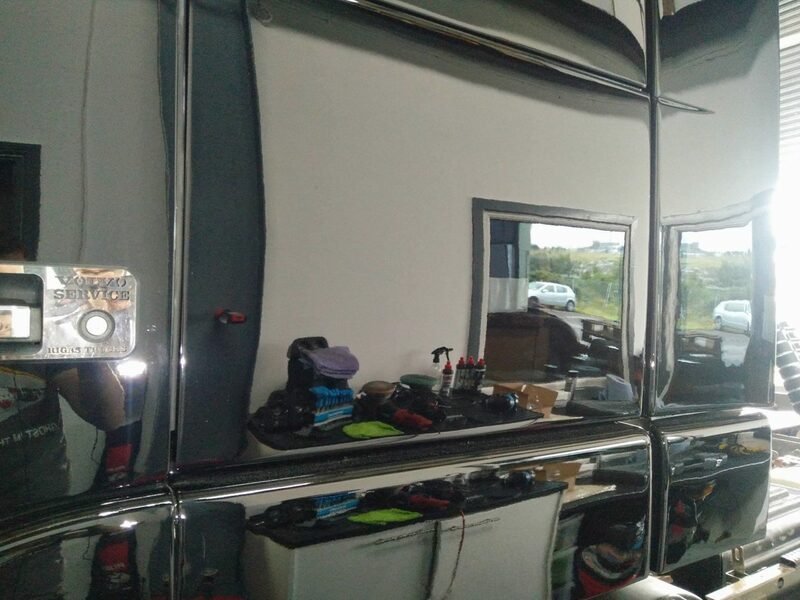 After a cleanse with IPA, the entire exterior was then protected with Gtechniq C2V3.